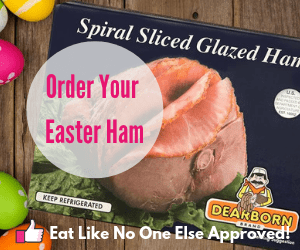 Today I wanted to take some time to talk about an interesting product I found at Whole Foods Market recently. Let me set the stage for you. My sinuses were pretty plugged up – I would say inflamed. I was looking for some relieve. One of the most talked about agents of anti-inflammation is turmeric. Once regulated as an afterthought, turmeric is now showing up in every drink imaginable including lemonade. 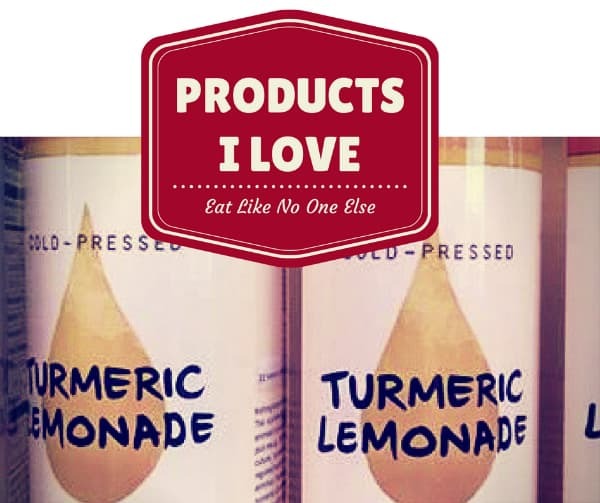 As I was browsing the many drinks choices my eye was caught by Turmeric Lemonade made by Honeydrop Beverages. 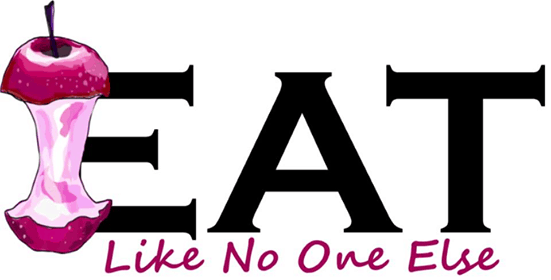 I gave it a try and now I am going to share with you what I think of it – which by definition is a review! Turmeric is harvested as the rhizome of the plant. Rhizomes are the stems of plants that are found underneath the ground. This is different than a root like beets, radishes, or carrots. Turmeric is in the same family as ginger. Occasionally in the store you will find turmeric that looks like small pieces of ginger that are more orange in color. Typically turmeric comes broken into smaller pieces than ginger. What Else Is In the Lemonade? Honeydrop keeps it simple and I like that. The ingredient list of this lemonade : water, lemon juice, tumeric, and raw honey. No I didn’t forget any of them. That’s all there is! Honeydrop uses raw honey as the sweetener in all their beverages. They have good reasons to. Here is a list of why they use honey taken from their website. 3. 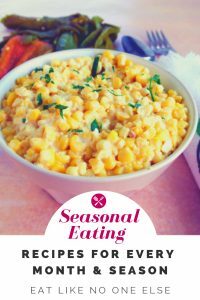 It is sweeter, per calorie, than white sugar, so you don’t have to use as much! 6. Honey does not spike blood sugar levels, so you’ll never experience a “crash” as you might with sugar. 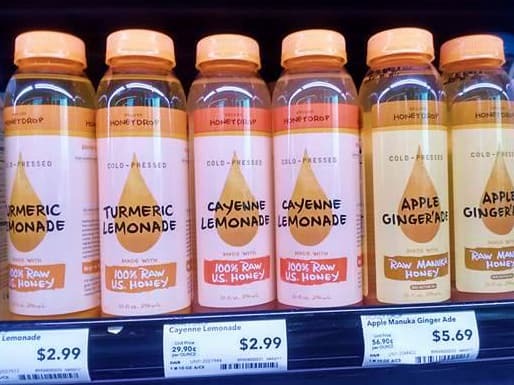 Honeydrop Turmeric lemonade goes for $2.99 a bottle at Whole Foods Market. I admit I am not a huge fan of the taste of turmeric. It can be a bit bitter and too bold. Some I worked with before I was really into juicing and I saw his face on day when he was drinking his juice and realized he overdid it on the turmeric. It was a funny sight to see. 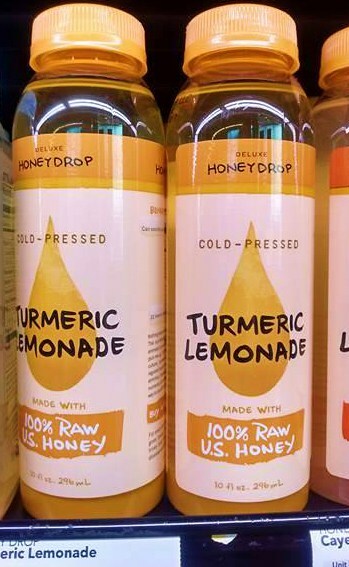 However with the Honeydrop Lemonade, I can easily stand the turmeric without any problem. Yes I can taste it but the power of the flavors of the lemon and honey make it so that is not overbearing. A well balanced drink this is. Not too sweet, or too tart, or too bitter. All the ingredient play well together to produce a tasty beverage. You may have seen the words “cold-pressed” pop up on a lot of juices lately. Honeydrop Lemonade is cold-pressed. So what does that mean and why should you care? To extract juice from fruit or vegetables – in these case lemons – pressure is used through a hydraulic press. No heat is involved in this process like with other juicing methods. Why it matters is that heat can destroy some of the nutrients. We certainly don’t want to do that. We need those nutrients. Did It Help My Sinuses? Honeydrop Turmeric lemonade helped me feel a bit better when I was dealing with a stuffy nose. Honey is great for a soar throat which often accompanies the plugged sinuses. I find it to be more helpful than anything I ever tried from a pharmacy. Don’t get me started on how much using Sudafed is completely useful for me. My Whole Foods doesn’t offer the whole line of Honeydrop drinks but they have their Turmeric Lemonade, Cayenne Lemonade, and Apple Gingerade. Check out Honeydrop’s website for a list of all the types of drinks they make. They have some unique flavors that I would love to try that I didn’t see at Whole Foods like Charcoal Lemonade, Lavender Lemonade, and Passionfruit Lemonade. You can order them off their website.